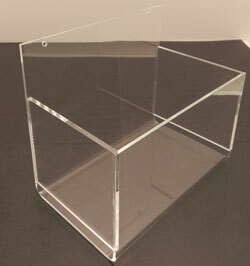 The top loading design of our acrylic sign holder makes replacing the displayed information much easier. These sign holders also feature a flat base for added stability. Available in multiple sizes to provide you with options for many different situations. The flame polished edges are a great touch for a clean and professional finish. You do not have to worry about these sign holders blending well in your retail space dude to their very simple design.